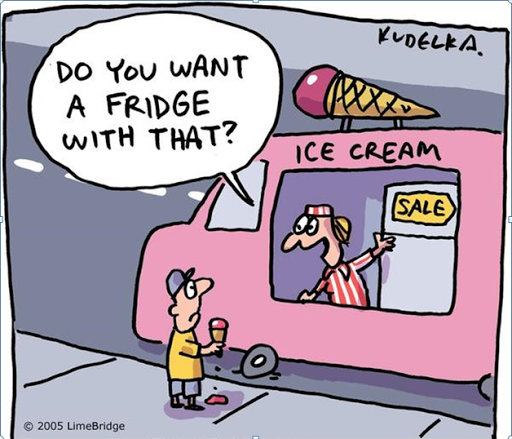 Cross-selling has been proven to increase sales by at least 30% with no additional costs. However, do it wrong and you will see it backfire with customer dissatisfaction, then attrition etc. 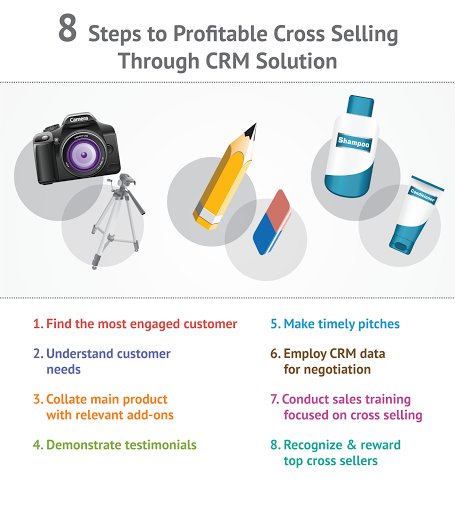 Here’s how CRM solution can help improve your cross-selling ratio. With the help of analytics, customer buying behavior, interactions etc., identify which customer segments were most engaged during a particular time frame. This will help you to deploy targeted marketing campaigns that are attuned to customer activity. 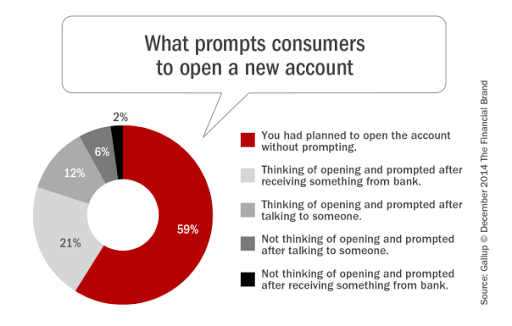 For example, in financial services, you can use the below statistic. Product/service relevancy is the foundation for increasing cross-selling ratios. When customers interact with you over multiple channels like social, web, mobile, call center etc. Try to be an active listener and determine their needs. However, be tactful so as to not to irritate them. Social CRM helps you to capture complete customer data and present a holistic customer intelligence, thus aiding in finding relevant requirements. You will have a core product/service, which may have additional sub products/services/add-ons, to offer to your customers. With the help of deep product knowledge, you can club similar product/service into one single offering. Such ‘packages’ have been known to increase cross-selling numbers. It pays to showcase great customer testimonials when you are pitching for cross-selling. Backup with story-based case studies to impress and assure him of the veracity of your claims. It also helps to improve the credibility of your brand. Choose the right time to make your cross-selling pitch. For example, if a customer purchase basket has reached $560, your executive can contact him and offer him a special discount of 20% above purchase of $600. Such tactics can increase sales by as much as 40%. Also, when your CRM software hints at the customer needing products on an urgent basis, you can offer your core product along with relevant and helpful add-ons bundled as a package. Your CRM platform should ideally capture all the relevant customer data, which then can be utilized during negotiations. With information like buying behavior, trends via social integration, the executive can find out the best offer price for a particular customer, thus leading to increased conversions. Training your sales force with the best pitching and selling practices is fine, but it will account for nothing, unless you have guided call scripts. Your CRM software should be able to match the right products to relevant customer needs. Use a platform that uses algorithmic techniques like whitespaces and machine learning. After training, reward your best performers with incentives that will motivate them to push harder. Your CRM solution can present clear numbers, performance incentives, accompanying rewards, peer standings etc. Throw in gamification, and your executives will look forward for a satisfying workday. Every marketing effort of yours should be directed towards offering customers the 4 Rs (Right Product, Right Time, Right Price, and Right Channel). CRM solutions can empower you with the right insights towards achieving that goal.